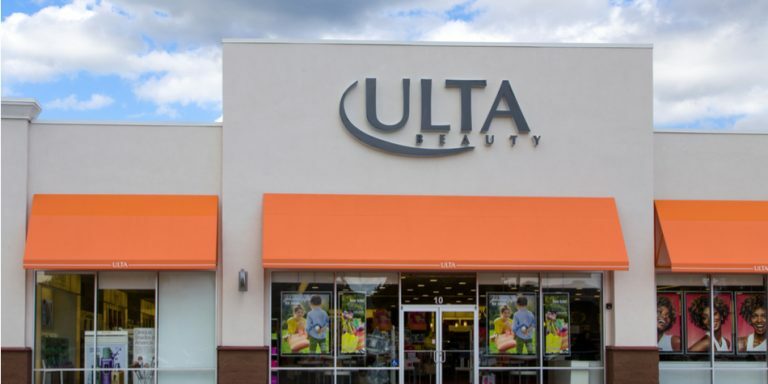 Shares of cosmetics retailer Ulta (NASDAQ:ULTA) have been on fire ever since March 2018. Between March and November, ULTA stock has soared from $200 to $300 as investors have celebrated better-than-expected top and bottom line growth, as well as a landmark deal with celebrity influencer Kylie Jenner. But, at $300, this rally in ULTA stock looks like it is on its last legs. The reality about Ulta is that this is a growth company with a slowing growth problem. But that slowing growth problem could be getting fixed. Growth appears to be turning a corner as third-quarter numbers were largely better than second-quarter numbers. But, the long-term growth fundamentals supporting ULTA stock are simply good, not great. This is a low double-digit revenue grower with mid-teens earnings growth potential. At $300, those realistic growth prospects are fully priced into ULTA stock. Granted, the Jenner catalyst against the backdrop of a robust consumer spending environment almost guarantees strong holiday numbers for Ulta. Those numbers could cause ULTA stock to have a nice end-of-year rally. As such, now may not be the best time to sell. But, caution is warranted. At $200, this was a screaming buy. At $300, ULTA’s rally looks largely over. From the start of the decade into 2017, Ulta thrived thanks to increased adoption of photocentric social media apps catalyzing secular tailwinds in the whole cosmetics industry. During that stretch, Ulta was a company characterized by robust comparable sales growth, huge unit expansion, significant margin improvements, and really, really big earnings growth. That is why ULTA stock went from $20 at the start of the decade, to over $300 by mid-2017. Then, Ulta hit some speed bumps. Namely, secular tailwinds in the cosmetics industry started to cool, department stores started to discount cosmetics products and Amazon (NASDAQ:AMZN) made a big push into the space. The net result was lower comparable sales growth, some margin compression and slower-than-usual profit growth. That is why ULTA stock dropped from over $300 in mid-2017, to under $200 earlier this year. Now, ULTA stock is bouncing back because growth is bouncing back. Ulta just announced preliminary Q3 numbers. Those numbers were largely better than expected. Comparable sales rose 7.8% in the quarter, versus expectations for 7.5%, while EPS is projected to come in at the high-end of management’s guide. More importantly, growth in the third quarter re-accelerated, reversing a multi-quarter trend of slowing growth. Third quarter comparable sales growth of 7.8% is faster that second quarter comparable sales growth of 6.5%, and that second quarter comp had consistently dropped from 10%-plus over the prior several quarters. The same was true on the e-commerce, retail comps, and salon comps metrics. Thus, growth appears to re-accelerating. Not by much. But by enough to warrant some investor enthusiasm. Longer term, management believes that comparable sales growth will run around 5-7% while EPS will grow at a mid-to-high teens rate. That feels about right. Thus, this is a company with good, but not great, go forward growth prospects. At $300, those good growth prospects are fully baked into ULTA stock. EPS is expected at around $11 this year. Management is guiding for mid-to-high teens EPS growth in fiscal 2019, 2020, and 2021. Let’s call it 15%-plus EPS growth into fiscal 2022. Thus, management’s guide pegs EPS at around $20 in fiscal 2022. My model agrees with this guide. Over the next several years, secular tailwinds in the entire cosmetics industry will be slowed by competition headwinds. Thus, growth will be good, but not great going forward, and slowing revenue growth from this year’s projected 15% rate seems likely. Margins should bounce back due to opex leverage, but not by much because gross margins will still be pressured by competition. Broadly speaking, under the assumption that revenue growth slows to 10% by fiscal 2022 and margins slightly rebound, I also think $20 EPS in fiscal 2022 is a reasonable long-term target. By that time, Ulta will be viewed by the market as a regular growth company. Growth stocks tend to trade around 20x forward earnings. Applying that standard forward multiple to $20 EPS in fiscal 2022 implies a fiscal 2021 price target of $400. Discounted back by 10% per year, that equates to a 2018 end price target of $300 for ULTA stock. Thus, at current levels, fundamentally supported upside seems limited. ULTA stock seems maxed out as it approaches $300. That isn’t to say this rally doesn’t have one last push in it. I think the Kylie Jenner partnership against the backdrop of a robust consumer spending environment will spark huge holiday numbers for Ulta. Those strong holiday numbers could catalyze a nice end-of-year rally in ULTA stock. Thus, ahead of the holidays may not be the best time to sell. But, caution at these levels is warranted, and big rallies above $300 should be viewed as selling opportunities. Article printed from InvestorPlace Media, https://investorplace.com/2018/11/valuation-becomes-a-problem-for-ulta-stock-at-300/.